System update (2.74 and 2.04) is published ! Today we have published a new program version (will autoupdate in both shareware and PRO version). FSX and X-Plane pilots can now enjoy a new autolanding routine, which simulates a VFR lefthand or righthand traffic pattern on every known runway. This is suitable mainly for light propeller aircraft and adds a realistic "Platzrunde" 1000 ft above the runway. Do NOT use this with jets ! In addition, we investigated instabilities during X-Plane operation and found, that under certain condition the latency between the XPL plugin and FSXpilot was way too high. This problem is now solved and X-PLANE operation is now dead stable (tested during long distance flights). Latency is constantly between 100 and 200 ms (see plugin debug window). Furthermore, we analysed X-PLANE landings and implemented a direct control of "flare" and "throttle zero" altitudes which now results in smoother landings. You may need to readjust your aircraft parameters, though. 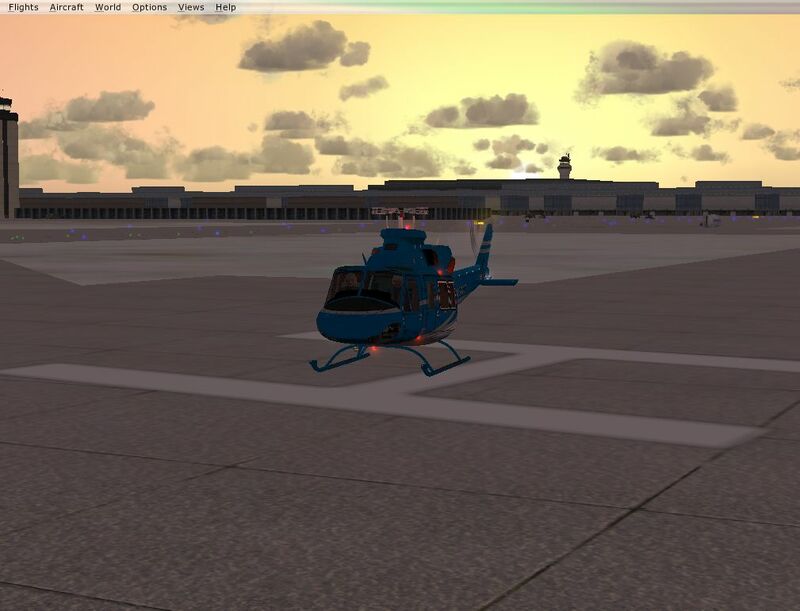 Finally, much effort was invested to remove taxi errors during autotakeoff and -landings. However, it showed that taxi in X-PLANE is not yet realistic (do not believe the forum "experts") and even more, buggy and hypersensitive in X-PLANE 11. So it was decided to implement an interim solution: a "taxi ctrl ON" and taxi ctrl OFF" button in the plugin, which allows your hand taxi during autolanding and autotakeoffs. The button will remain until the creators of X-PLANE offer a better taxi solution. All free for you, pilots. Enjoy. Copy the Folder "XPLPilot" from the folder "X-PLANE 10 and 11 Plugin" into the folder "plugins" which can be found in "Resources" of the X-PLANE home directory. This early release version will be updated soon. If you find bugs please report them. We will publish instruction videos for the FSXP X-PLANE version in the near future. PRO users will remain supported and can use their registration numbers to unlock this new X-PLANE version free of charge. Available for Flight Sim World Testing ? Dovetail's 64 bit "Flight Sim World" is out now and can be purchased "early access" via Steam. Looks promising. As the simulation is technically based on a 64 bit FSX and Simconnect is available for FSW, we would be interested to know if any of you guys were already able to successfully use FSXPilot in FSW. The first three conclusive reports (installation HOWTO and test flight) will receive a free FSXPilot PRO version key. Because of an angry mail that reached us these days we decided, although initially not intended, to grab a copy of P3D V4 and test functionality of FSXPilot. We can now confirm that FSXPilot works great with 64 bit PREPAR3D V 4. 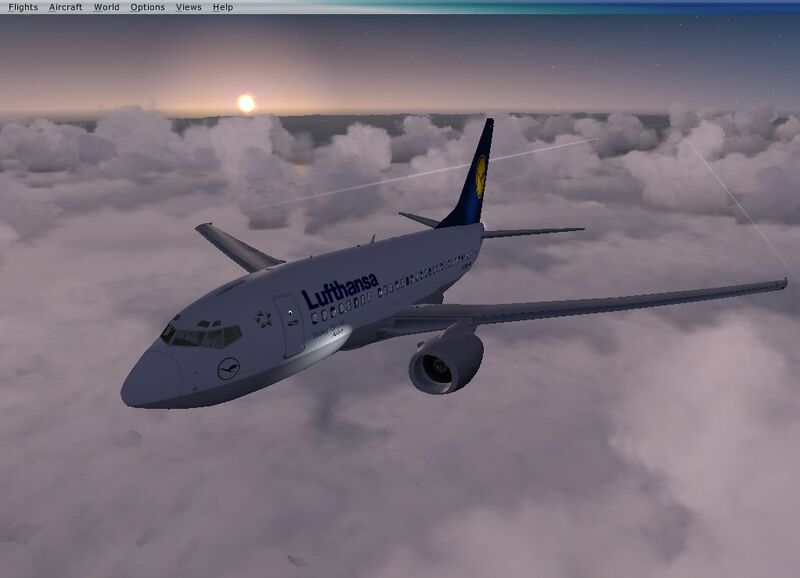 In our test setting, we had FSX Steam version (and X-PLANE 11) installed, of course we had FSXPilot installed too. 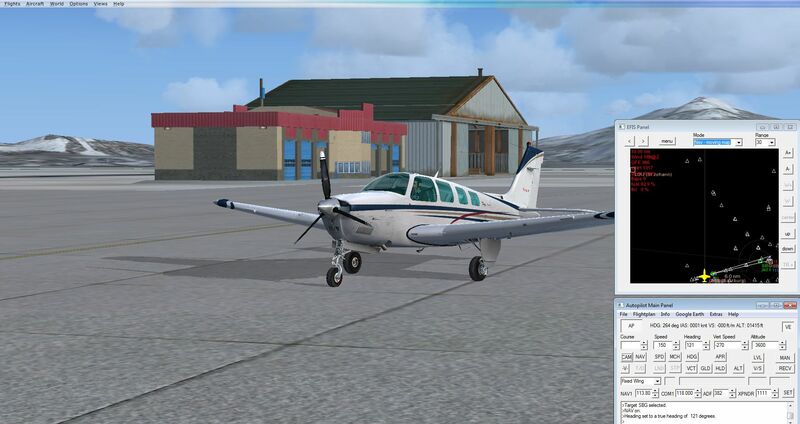 Then we added Prepare3D V 4 and after a rather short installation process we powered up a Beech King Air 350 and flew a pleasant test ride with flawless GPS autolanding - without any additional action. Situations may be a bit different in P3D V4 standalone installations. Here, you must install Simconnect from your P3D home directory (...\Lockheed Martin\Prepar3D v4\redist\Interface\FSX-SP2-XPACK) before FSXPilot. Then install FSXPilot. Please also use the XPACK version of simconnect.dll (all available versions are contained in FSXPilot subfolder "Simconnect - alternate versions"). Copy the simconnect.dll from XPACK version to FSXPilot home dir. In case you have any additional observations/bugs/tips concerning operation or installation of FSXPilot with P3D V4 please drop us a line. One last remark: We cannot carry everybody to flightsim heaven personally and instantly. In case something does not work as expected, please always try to solve the problem first by reading all FAQ, support articles and use your brillant IT skills to optimize the chain simulator <-> API (Simconnect) <-> FSXPilot. In case of requests please resist from writing one line emails, be friendly, add your name, inform us whether you are a PRO user and provide as much information of your system (and the problem) as possible. In the end, in 99% of cases things will work. Today on Feb 24th 2017 a new update was published for the shareware and the PRO version. FSXPilot can now fly radials TO and FROM NAV targets. In addition, we added the ability to follow airways. Simply type (in the area of Munich, EDDM) "fly awy T702 BADIT" into the command input box to make FSXPilot turn the plane into the nearest waypoint of the T702 airway, then follow the airway until BADIT. From here, FSXPilot will remain on present heading. Thanks, Zack, for your input ! In PRO version, the users received another additional bonus: Just use the mouse wheel on the EFIS window to quickly zoom in and out the FSX view (f.e. close instrument view). Pressing the middle mouse button and move the mouse on the EFIS panel will quickly pan the FSX view to a new location (f.e. quick left and right). Thank you, registered users, for supporting our project. And - we received a lot of positive feedback recently - thanks a lot ! Google earth 3D live camera now available via FSXPilot ! Activate the KML file "flyto_position_every_4s.kml" in FSXPilot's main directory or from your desktop. End of session: Always discard the google earth view. After a few seconds, Google Earth will magically zoom to the position of your plane and follow the plane throughout the entire session. A beautiful 3D experience .... and extremely helpful in areas you do not know, bad weather or at night. Btw: free for all. Enjoy ! Fly the Harrier with FSXPilot ! June 26th 2016: Can you fly a Harrier with FSXPilot ? We recently thought - no ! But, to our surprise, the UKMIL harriers hover well with FSXPilot in helicopter mode. There are some tricks needed, so we made a support video. June 18th 2016: We have modified the STATS pages. Landing offsets in meters are now precise and landing LAT/LON is given. Have fun training your landing skills. May 27th 2016: Old feature, newly designed: Expect more and ultimately precise click targets on the EFIS in the next update 1.13. How many ? Shareware: five. PRO: unlimited ! May 13th 2016: We do now have the self refreshing page for mobile phones or tablets. And the stats pages received links to OpenStreetMap and SkyVector. Now nothings speaks against going for a long walk with your dog and keeping an eye on your current flight. Check your flights online ! May 11th 2016: The FSXPilot statistics page is now available in the first beta version. Check your flight progress online, compare your sessions, takeoffs and landings and compete with the community for the best. Stay tuned for more to come ! New program update and good news ! May 10th 2016: We have published a free update for Shareware and PRO version. Automatic spoilers on runway during touchdown and a new spoiler and reverse thrust ARM button for your manual landings are included. Helicopter autolandings can now be shortened by operating the "TR+" button. For that please excuse that we might need to push several updates within the next weeks or so. Coming up next: Gliders ! April 7th 2016: Update 1.08 for FSXPilot PRO published ! Expect some video previews the next days. Long-awaited new version 1.3 of Android App is out ! Together with two automatic updates for both shareware (2.45) and PRO version (1.07), our FSXPilot Android App version 1.3 has been published on Google Play store. In short, this version features the ability to simulate (mock , spoof) the GPS of your Android phone or tablet with the GPS coordinates of your FSX or P3D aircraft. This way, you will be able to use Google Maps or Google Earth on your phone to display the current location of your aircraft and use any of their location based services. In addition, this opens the world of Android moving maps, aviation apps, track recorders and flight chart apps for you. Use any of those as if you were sitting in a real plane with real GPS coordinates. 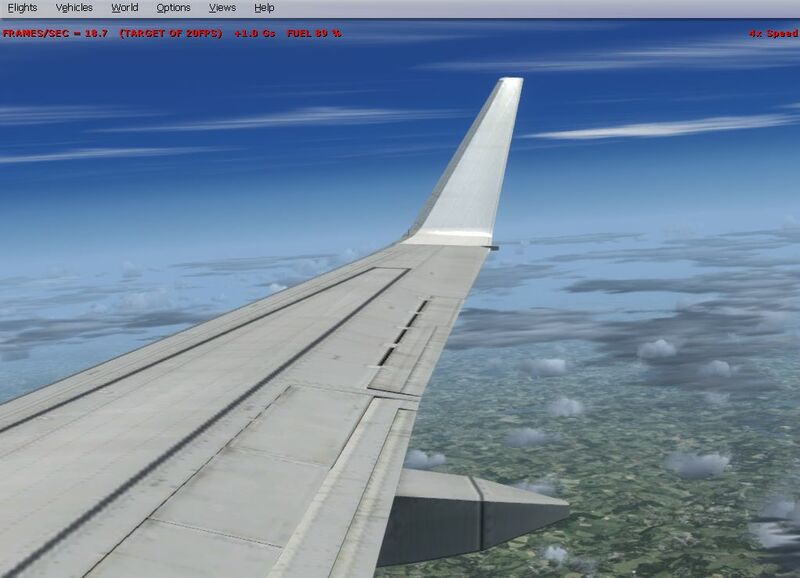 The image below shows XCSoar (example of great freeware) on Android connected to FSX SE via FSXPilot (desktop) and our FSXPilot app. Apart from that, several enhancements have been implemented. The possibilities are endless. The 1.3 update is free and does not require PRO. Enjoy ! Automatic updates for both shareware (2.42) and PRO version (1.04) have just been published. We removed a bug in SID procedures (double blue lines) and restored the missing Server IP display during startup. PRO users are now able to define specific Maxbank and Maxpitch values for each entry in the aircraft database. 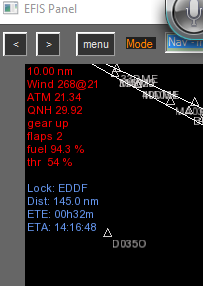 All users get a nice little feature: The currently locked target is displayed on the EFIS in lightblue together with distance, ETE and ETA. Automatic updates for both shareware (2.41) and PRO version (1.03) have been just published. Baro pressures are now shown in inHg or in hPa depending on a new check mark in 'General options'. We have three new short demo flight plans and better speed and flap management during ILS and GPS auto landings. In short, you are now able to 'overrule' FSXPilot during the approach: If you set speed lower or flaps higher than in FSXPilot standard settings, FSXPilot will not set back flaps or speed. Great solution to gradually bleed off speed during approaches with difficult planes. Simply enter your LAT and LON coordinates and altitude, press 'Ok', and off you fly to any GEO location around the world. FSXPilot PRO has landed ! Universal autopilot and FMC with "auto-landing wherever you want" functionalities in FSX, FSX-Steam, and P3D, different skins, a view system with DHM plus a co-pilot voice recognition experience, a basic flying school for fixed wing and helos, and much more for the price of a standard flight planner ? Finally there ! Today we are excited to announce the launch of the FSXPilot PRO version. Enjoy the new view system, create skins and comfortably manage your aircraft database. In addition, a Windows Help File to be used from the AP Panel is included. Be the first to receive exclusive functions and keep the fire burning in our development studio. Please visit the purchase page and grab your serial, which will entitle you to use FSXPilot PRO on three different computers. And we can finally tell the secret of the additional bonus function in PRO: We have a new exclusive flightplan command (exec) that enables to execute Windows Shell Commends directly from a flightplan. So call the web browser, Excel, Word, or a PDF chart (with page and zoom reference) automatically during different flight situations. Go to the support article How to use the exec command (PRO) and how to control every aspect of an ILS approach to see how to do that. "FSXPilot - The Manual" is available ! We are happy to report that our new PDF manual is ready for takeoff . All registered website users can download the free manual in our download section. Enjoy ! We are happy to announce that FSXPilot PRO will be ready for registration in a few days. The release date will be March 7th 2016. 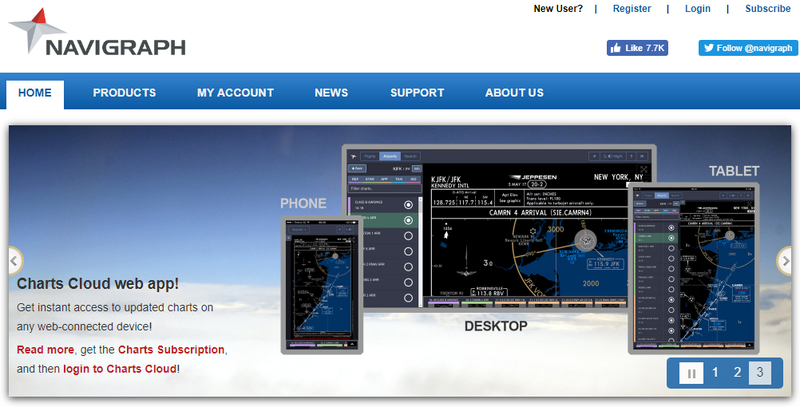 Until then, please register a free account on our homepage and download and install FSXPilot Shareware 2.4. The PRO version will be generated on your computer from the shareware version. User registration is online ! The user registration of this website has gone online. Registration is easy and only requires 2 steps. After you have validated your email you can then log in. The download of the FSXPilot Shareware and PRO version and upcoming benefits (getting documentation) are only possible after registration. Version 2.4 is available ! Today we have published FSXPilot V 2.4. This is a substantial shareware update with numerous improvements (see the full list here: FSXPilot downloads (for FSX and P3D)). New initial splash screen, FTP update mechanism, 2 new hotkeys and much more. VE button (view effects) and "frequency set" buttons will be available (not disabled) in the PRO version. PS: Yesterdays update was initially distributed with a fspilot.ini that contained a PRO seriel key. This key no longer valid and the installer is now updated. If you want to get rid of the initial message please just delete the text after "RegNo=" in fspilot,ini. Thanks. The past weeks have been very productive and we are glad to announce that there will be two brand new versions of FSXPilot out soon. From now on, FSXPilot will exist in a shareware and a PRO Version. The shareware version will always be available for free. Both shareware and PRO compile from the same source and development will be linked. The shareware version will include numerous enhancements. Users will soon be able to register on this website and purchase the PRO version. Version 2.3 is available ! 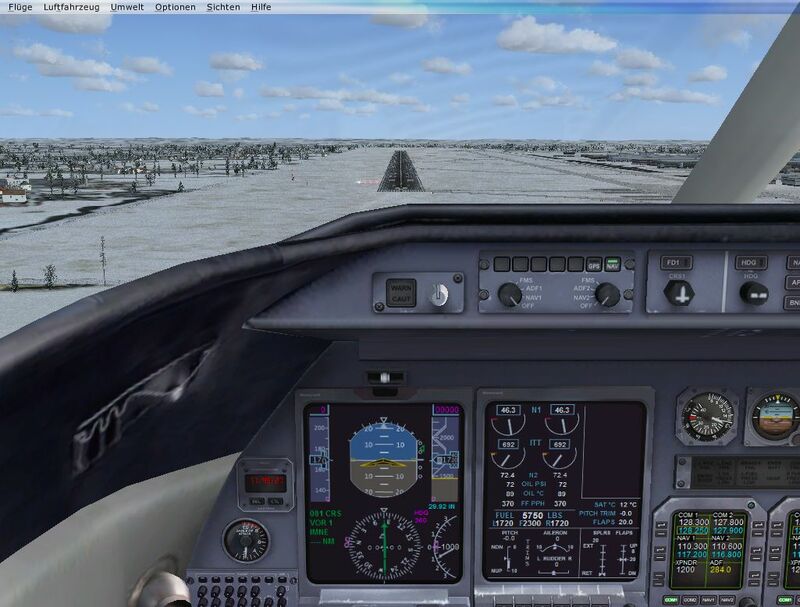 FSXPilot, the universal autopilot for FSX, FSX Steam and P3D, is now available in version 2.3. New: flightplan command "run takeoff vertical"
BTW: Brake problems with your F18 hornet on ground ? No FSXPilot issue. See the new FAQ entry. FSXPilot supports standard instrument departures (SID) and standard terminal arrival routes (STAR). In cooperation with Navigraph we were able to provide a more recent AIRAC (1502) including the SID and STAR data. Fly the professional routes from and to your favorite departure and destination airports. Select SID's effectively according to their departure direction and STAR's according to the distance of your aircraft relative to the first STAR waypoint. Include SID's and STAR's in your flightplans. Graphically depict STAR's and SID's on the EFIS. 2.0 further enables to switch to 'next tracking target' by a new EFIS button. Select near user defined GPS targets from the quickselect menu on the fly (thanks Steve for the idea). Save user defined GPS targets from the quickselect menu. And now let's go flying. FSXPilot 2.0 contains an AIRAC (courtesy of Navigraph) that is several cycles behind. If you need to update your AIRAC, get the latest cycle from Navigraph. Make sure you purchase the PSS version. A Howto will be in the support section shortly. FSXPilot is the world's leading and most versatile autopilot for fixed wing aircraft and helicopters in flight simulation. 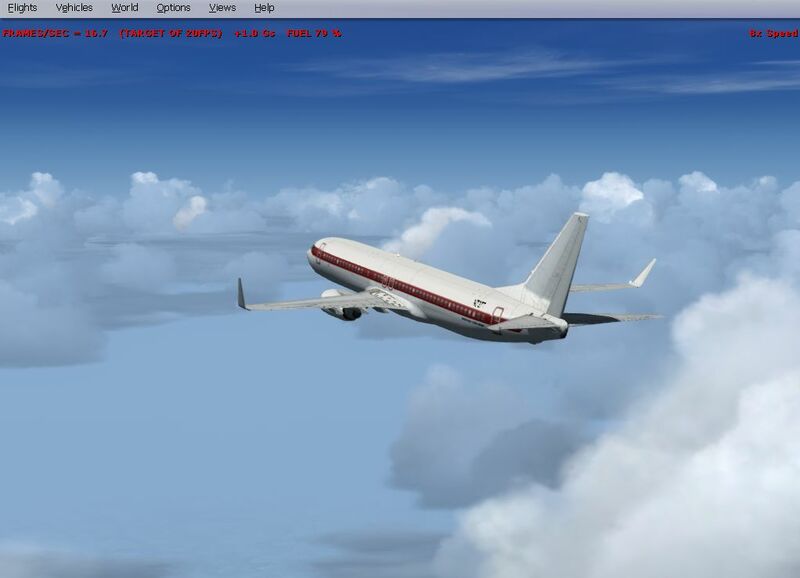 This program was started in Orbiter Space Simulation and later ported to the Microsoft Flight Simulator. 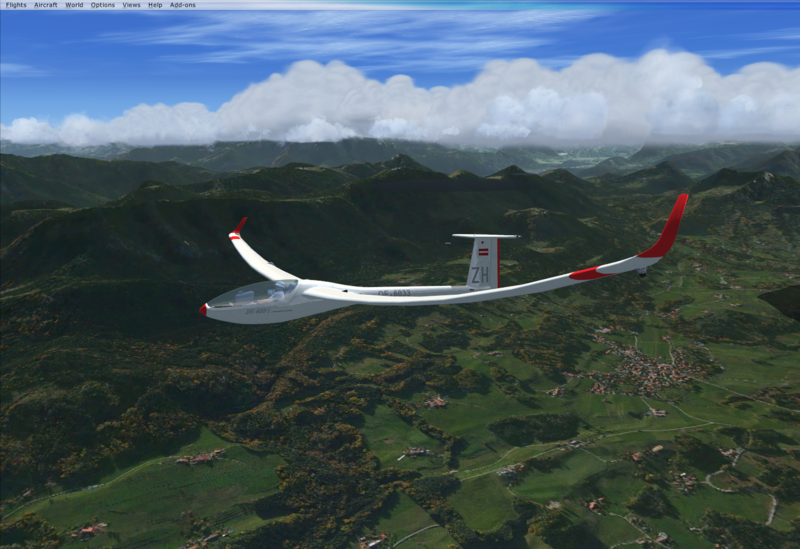 FSXPilot also works great in Prepar3D, even in the brand new version 2. Especially for you P3D users we have recently (1.37) added support for "the beast" Raptor F22 :-) Currently, we develop for FSX/Prepar3D only, but there are still (old and limited) versions for FS9 available for download. After the install, FSXPilot will open in two separate windows on your desktop screen. The main window is for autopilot control, the EFIS window is for navigation. The best way to use FSXPilot is to start FSX (windowed mode only) and later start FSXPilot with it's two separate windows. You can position the FSXpilot windows on your screen wherever you want and save this position as your default. If FSX is in windowed mode you might experience a "stop" of the flight simulator when you click another window on your screen. This "stop" can be switched off in FSX options. FSX full screen and FSXPilot is only possible if you have two monitors attached to your computer. FSXPilot version 1.50 is finally available and supports Windows Speech output and speech recognition. Please check out the Speech recognition support file for more information. It is advisable to use a good headset. Please enable speech recognition in your Windows 7, Vista or 8 system and do some basic speech training with the US English WSR version ! Our brand new android version is out. Please Check the play store. FSXPilot for android unpacks the whole power of the FSXPilot project on your phone device. Input things and waypoint control are done on your phone / tablet, the rest is performed by the extremely powerful FSXP standard software on your flightsim computer. With FSXPilot for android, you have a versatile and clever new flighsim controller on your android phone or tablet. Also great stuff for reactivating your old phone. Possibilities of operation are endless. Plan your sightseeing flights with real world landmarks on google map - simply tapping your waypoints onto the screen and follw the plane turning into the new headings. Break all kinds of records by long distance flights controlled over your phone - why not fly around the world ? 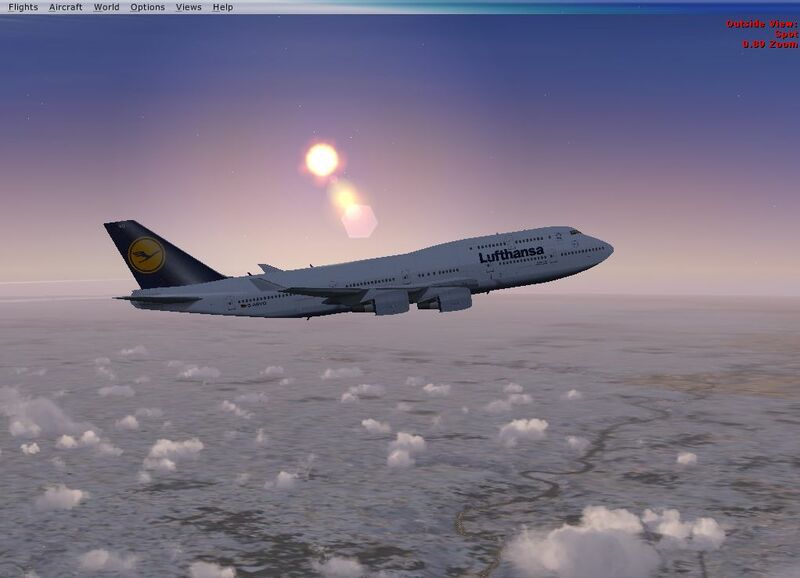 Try ground taxi on a system with P3D installed and you will be absolutely amazed. Send all kinds of inflight commands to your aircraft - flight level , speed and heading changes, holding commands, GPS- or ILS auto land commands. Even turn your engines off / on via the phone and release the wheel brakes.